For a Slip and Fall Attorney in Coral Springs that you can trust to do an excellent job call Robert E. Gluck. Having adequate legal representation is very important when you have been injured in a slip and fall accident. A Slip and Fall can happen by falling on another person's property, or by slipping on a wet or uneven surface. It can even happen when there are not enough hand rails or there is poor lightning on the property. Slip and falls can happen when you are inside a bank, a shop, a school, a restaurant, a concert hall, or anywhere else where a person can get injured. Before your Slip and Fall Attorney in Coral Springs can open your slip and fall case, he must first prove negligence. Negligence can happen when a person has failed to deliver reasonable care and injuries occur as a result. Robert E. Gluck will look for any signs of negligence that he can find and he will use them as evidence to try to get you financially compensated for your injuries. 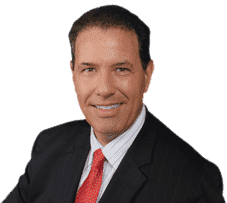 Robert E. Gluck understands all aspects of the law, and he knows how to execute an injury claim so you can have the best shot for a settlement. Call Robert E. Gluck today to speak to him about your free consultation. Hiring a Slip and Fall Attorney in Coral Springs is very important if you want to attempt getting a settlement for your slip and fall injuries. Studies show that there is a much higher chance of getting a settlement if you are represented by an attorney. Robert E. Gluck will fight hard to get you the settlement you deserve. He will give you the emotional support you need during this time, and act as a powerful voice on your behalf. He will even provide his cell phone number to you so that you can always get in touch with him when you need to talk. When you hire Robert E. Gluck, you are making an ideal choice and you will be in perfect hands. Your Slip and Fall Attorney in Coral Springs, Robert E. Gluck will be at your side from day one. He will guide you every step of the way until the case is finished and closed. Robert E. Gluck will look for witnesses and get their statements, he will take pictures of the scene, he will obtain video footage, and he will look for property damage. Trust Robert E. Gluck to work efficiently on your behalf, and try to get you the settlement you are entitled to. Contact Robert E. Gluck today to schedule a free consultation in his office.